The premiere of the most awaited Bollywood film of the year, Yash Chopra’s final directorial project; Jab Tak Hai Jaan was held a couple of days ago in Mumbai. The star studded event saw a host of glittering celebrities along with the glamorous cast of Shahrukh, Katrina Kaif and Anushka Sharma. Let’s take a look at who wore what and why we loved or hated it. Everyone from the Bachchans to Salman Khan was present to pay tribute to the legendary director. While both Anushka and Katrina donned shimmering mermaid-esque gowns for the event only one of them pulled it off… any guesses? Yes, Anushka’s Cavalli midnight sequined glamour definitely stole the limelight from Katrina’s more wedding appropriate as opposed to sophisticated launch premiere, gold sari gown. We think even Tarun Tahiliani, whom we love, designed the creation to be worn as a traditional draped sari showing off the palu rather than as a gown. Although we feel Anushka could have done better as well; the mermaid hem is a bit last year, however we love the asymmetrical neckline and the vintage pin curls updo. Rani Mukherjee’s Sabyasachi sari was a stunning blend of champagne, black and red and the layered necklaces are a lovely touch. Not many can go wrong with Sabyasachi. Preity Zinta and Gauri Khan also opted for saris. We can safely say that as much as we loved Gauri’s simple elegance in navy Tarun Tahiliani, especially the way she wrapped the palu in front, we were shocked by Preity’s floral mango Surily sari that just felt out of place and time. Aishwarya Rai and Twinkle Khanna both seem to be suffering from a serious lapse in judgement that we can only hope is a temporary effect due to pregnancy brains. The busy gota strips with no apparent thought is disturbing. 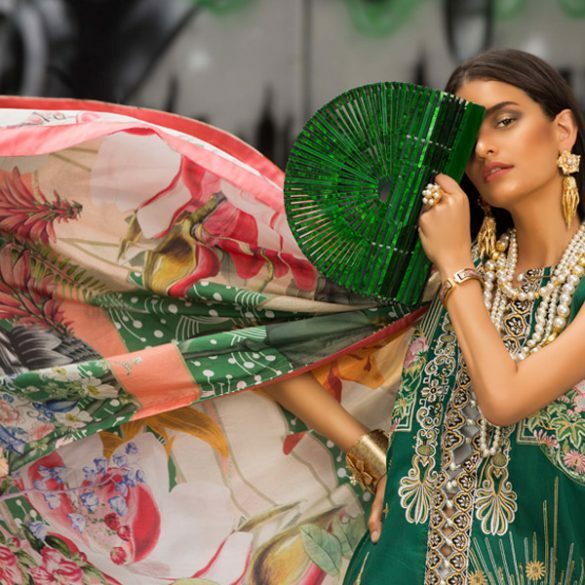 Both creations are the work of Abu Jani-Sandeep Khosla and if we had to pick one we’d go with Twinkle’s short kurti for having some semblance of balance. The award for best dressed for the evening in our opinion definitely goes to Sonam Kapoor and Suzanne Roshan. Sonam hardly misses and her bridal lace Elie Saab Spring 2012 gown is no doubt a hit. Granted it seems a bit of an attempt to grab center stage given she wasn’t in the actual movie but that’s Sonam. We love the side buns hairdo that adds to the fairytale charm. Abu Jani Sandeep Khosla are certainly popular among the first ladies of Bollywood off late with Suzanne Roshan also modeling the designers. Suzanne was pretty in pink in her typical understated style, the only thing we’d recommend would be a pulled back hairdo for a more formal look however we like the statement bronze over-size clutch. Let’s hope the film fares better than outfits at the premiere!